Josip Novakovich is a writer of short stories, essays, and novels, with many published to popular acclaim. He was recently shortlisted for the Man Booker International Prize for “literary excellence… in a writer’s entire body of work.” Born in Yugoslavia in 1956, Novakovich grew up in Daruvar, in what is now central Croatia. His geography hasn’t gotten less complicated since then. 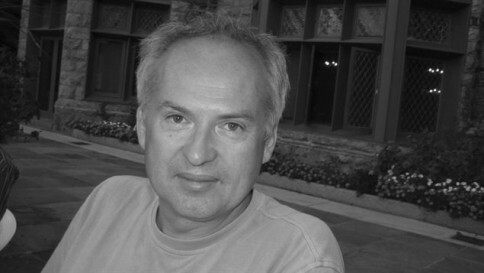 In his most recent collection of essays, Shopping for a Better Country, Novakovich chronicles his vagabond lifestyle, which led him from his home country to Serbia for medical school; then to Vassar and Yale to study psychology, theology; and creative writing; to St. Petersburg; Berlin; Pennsylvania; and finally Montreal, Canada, where he currently teaches writing at Concordia University. He answered some questions for the Voice while in Israel, where he is a guest lecturer. What kind of traveler are you? Which parts of travel do you enjoy? Which bore you, frustrate you, tire you? Airport, airport security—that is all horrible. I like culture clash, seeing that things can be done differently, and random encounters, although I have fewer of those now than I used to. Well, I never really met a lot of people traveling, but some, and sometimes it was cool to talk to strangers until you cease to be strangers. How does it feel to write in your second language? Does English still feel like your second language? No, I don’t count languages in numerical order. If I go chronologically English is my second language. If I go memoiristically, from now backwards, it is my first and Croatian is my second. I live in English. So which will be seconded depends on the direction of the time arrow we shoot. How does it feel to write in English? How does it feel to drink tap water? How does it feel to breathe city air? By now, it’s primal even though it’s not. Do you have any sources of inspiration aside from your own life? If you have writer’s block, where do you turn? Yes, other writings and musings about history and strange events around me. I don’t fight writer’s block; I always write something, at least letters. Do you think that writing loses any of its integrity when translated? A lot is untranslatable but recreatable. Much depends on the creative energy and acumen of the translator to recreate the text in the target language as a living organism. What is home? Do you enjoy “shopping for another country”? I thought I’d enjoy finding another country more than I did. But maybe Canadians are just too nervous and too well regulated to let me relax. To understand things. I don’t think unless I write, or at least, I think so vaguely and chaotically that I need to write to clarify. Who are your favorite authors? How do you choose what you read? Well, it varies. My favorites change with my age, thinking, and so on. I certainly enjoy Maupassant and Heinrich von Kleist and much of Kafka… and I used to relish Beckett’s prose… Vonnegut. I did read a lot of Tolstoy, Balzac, Maupassant, Dostoyevski… and now I read mostly my students because that’s how I make a living mostly. Well, Nabokov. I admire much of his work, and perhaps there are some similarities, but I was raised in a different era, that of minimalism. He is a maximalist of sorts and a linguistic acrobat and exhibitionist, a verbal narcissist. As a butterfly collector, he collected words and caressed them… though of course, you can’t caress a butterfly. What is your writing process like? Do you have any superstitions associated with writing? What does a typical day look like? One superstition I have about writing is not to talk too much about what I am writing so I don’t exhaust the energy and the ideas that should remain fresh until I hit the page. Do you have plans for another novel? I have finished revising a novel, and I want to go back to an unfinished one… I like to vary things I write about. I wrote too much about wars. But that’s our cultural imagination and practice. I am in Jerusalem now, and half of the Bible is war stories of one kind or another, and the Iliad and the Odyssey are even more bellicose.